ARM, in partnership with HEXUS, is giving you the chance to win some incredible new hardware! The British company, founded in Cambridge 22 years ago and employing over 2,000 people in locations around the world, has billions of processors in the wild and in 2012 was reported to be powering a staggering 95 per cent of the world’s smartphones. Looking ahead to the next 100 billion chips, and hot on the heels of the announcements from Google IO, we're giving away two ARM-powered Samsung Gear Live Android Wear smartwatches! The competition winner will be picked at random from all eligible entries that arrive by midnight of the closing date, August 8, 2014. Only one entry is permitted per household via the HEXUS survey on this page. Duplicate entries will result in disqualification and no entrant may win more than one prize. The winners will be notified via email by Augsut 15, 2014. The winner must claim their prize within 7 days of the promoter sending notification. If the prize is unclaimed after this time, HEXUS reserves the right to offer the unclaimed prize to a substitute winner selected in accordance with these rules. 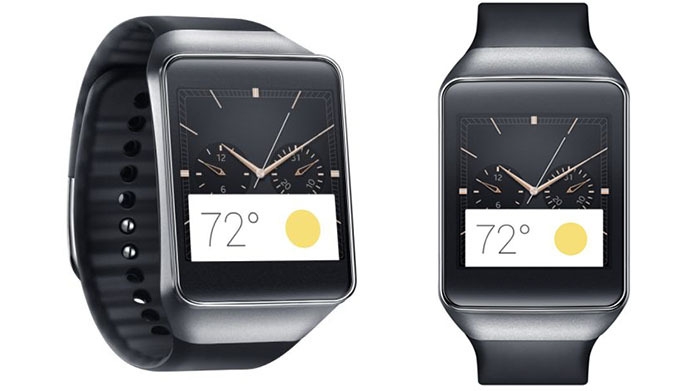 The prize is one of two Samsung Galaxy Gear Live Android Wear smartwatches. i want this so bad !! Id have this… but i really want the moto 360..that round screen just seems to be the right “fit”. Blends in and looks normal but adds function when needed. Id be happy either way to be honest, as they all are pretty cool gadgets.